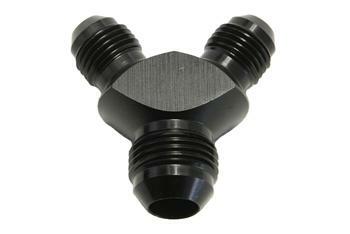 This Y fitting is great for fuel systems. With a single 8AN inlet and 6AN dual outlets, this fitting is perfect for dual feed rail setups on race and turbo cars where adequate fuel delivery is very important. 8AN Hose End Cover has a built in worm gear clamp. Use when clamping our 8AN braided hose.